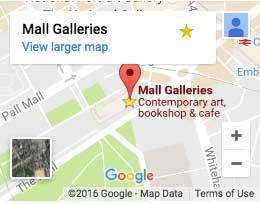 Mall Galleries hosts a diverse programme of exhibitions and events, and is home to the Federation of British Artists. The Federation of British Artists (FBA) comprises eight of the UK’s leading art societies, specialising in oil, portrait, marine, wildlife, watercolour, pastel, printmaking and sculpture. We offer a large range of art-related services aimed specifically at corporate and institutional clients. Upcoming exhibitions organised by Mall Galleries.